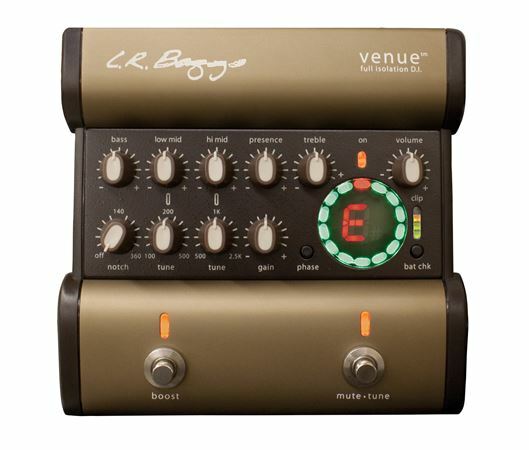 Shop LR Baggs Venue DI Acoustic Guitar Preamp Pedal with Bag from AMS with 0% Interest Payment Plans and Free Shipping. 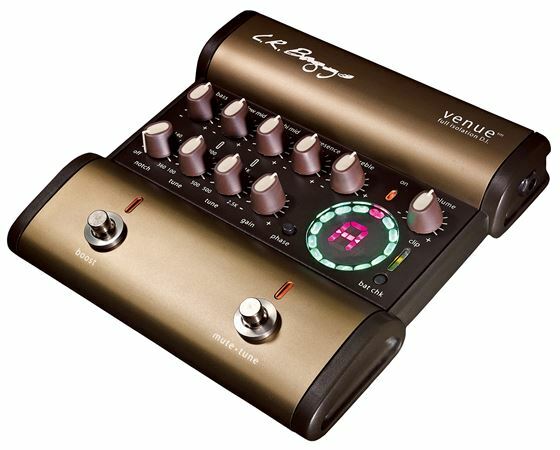 The LR Baggs Venue DI preamp pedal will greatly improve your sound and clean up your stage. The Venue DI is the first all-discrete acoustic guitar preamp to combine a transformer-coupled D.I. output for maximum isolation, an EQ specifically tuned for acoustic guitars, a variable boost control to compliment your playing styles and a chromatic digital tuner to help you stay in tune. The Venue DI preamp pedal is a beautifully packaged road worthy floorbox that has everything you need to get the perfect acoustic tone from your guitar in any live venue. Combining the features of at least three foot pedal boxes into one pro box, the Venue DI brings a new level of fidelity, confidence and usefulness to performing acoustic musicians. The Venue DI acoustic guitar preamp pedal is the most comprehensive and best sounding tool ever to tame the surliest stage. High-end audio transformer coupled XLR for full immunity from ground loops. 100 percent Discrete Circuitry and EQ for sweet, transparent and ultra quiet sound. Adjustable Gain to handle most passive and active inputs. Garret Null notch filter to non-destructively handle feedback. Full chromatic tuner with footswitch mute/tune function. Bomber construction with metal shaft potentiometers. Phase inversion for best sound and feedback control. Works with 9v battery or DC adapter (not provided). Tunable low and high mid controls. Assembled in the USA with 100QC testing. Adjustable solo boost foot switch control. 4 segment battery status gauge. No issues with it. Seems to work like it’s supposed to which is something I can’t say about a particular $1,000 pedal from a company I won’t name. Let’s just say a Head and the word Rush MIGHT be involved. Avoid if at all possible. But anyway, for acoustic gigs, this has become a local (New Orleans) standard and, as stated, so far, so good. 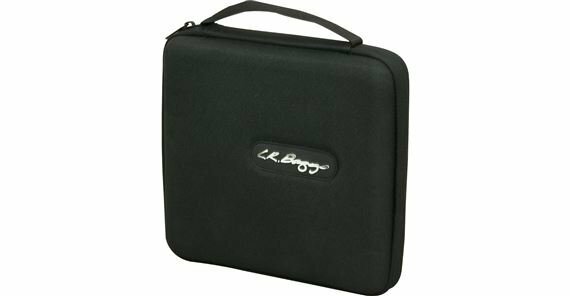 The LR Baggs Venue DI is straight forward, well built and very easy to use. Very sturdy unit I foresee no problems gigging with it for an long time. One thing I absolutely love is how much room is between the mute/tune and boost stomps. I know it’s not something most folks mention, but to me it’s a nice feature, especially on stage, with lots going on. All the controls are very straight forward and simplify getting your sound dialed in. Tuner display is easy to see. Can’t really think of anything that needs to be improved. Buy without hesitation, you will not be disappointed. Appears to be a solid piece of equipment. Should have had Venue DI years ago. It's a Para Acoustic much more easily adjustable, plus a fine mute/tuner switch and boost switch. I use the mute to change instruments QUIETLY.